Homeowners in Texas can call the water damage Prosper team at 911 Restoration Fort Worth the moment they discover a leak in their home, because we keep our phone lines open around the clock. Water is a powerful element that can do a lot of damage in a short amount of time, so our water damage Prosper staff guarantee that they will arrive on the scene within 45 minutes. Humidity and dampness left to linger in the home can create a mold infestation, something our water removal workers know a lot about. We will do whatever it takes to keep your home protected against this substance, since it can lead to issues down the line. Call our licensed, bonded and insured water damage Prosper agents today and we will conduct a free home inspection as soon as we arrive. It goes without saying that a massive flood or leak will require immediate assistance to both pump out the gallons of invading water and remediate the damage it has done to your home. But it is important to keep in mind that even small issues, like a persistent leak under your kitchen sink, need to be mitigated just as quickly. The reason that even these minimal problems need to be pursued with the same gusto as larger water emergencies is because consistent dripping can lead to mold growth, especially when humidity is a factor. Our water damage Prosper unit has many years of experience renovating mold, fungus and mildew, along with having the skills and equipment needed to get your household clean and dry. 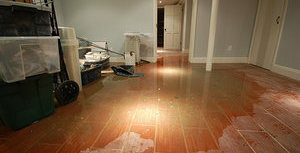 Call us as soon as you notice any dampness anywhere in your home and our water damage Prosper operation will provide you with comprehensive water damage and mold removal services. When we get to your home after it has been affected by water, our water damage Prosper specialists know that you are in a fragile state of mind. Knowing that you now have to hire a company to remediate the damage can be overwhelming, but with us on the job we make sure to make this whole ordeal as easy as possible. Our office stays available 24/7/365, because we never want to make you wait for help during a water emergency. By providing you with the utmost customer service we can ensure that your wellbeing is being taken into consideration throughout the entire process. By staying accessible at all hours or the day and night, you can ask our water damage Prosper representatives any questions you might have about the renovations work being done on your property. We just want to make flood and leak damage remediation easy, so call our water damage Prosper pros at 911 Restoration of Fort Worth today and we will give you a fresh start.